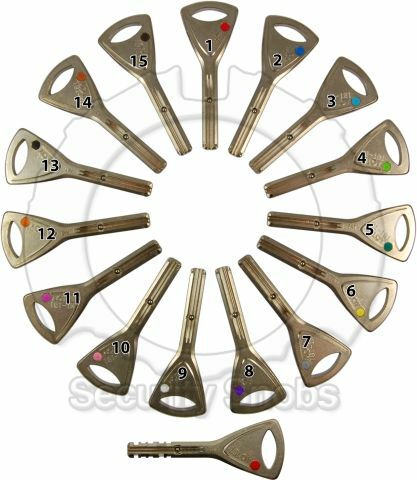 If you need additional keys for a lock you have already ordered you can purchase them separately using this page. If you did not get your lock from us and are not sure what generation Abloy lock you have please see the section "Determining the Abloy system you have" on our Abloy Lock Owners page and contact us to see if we can cut your key. 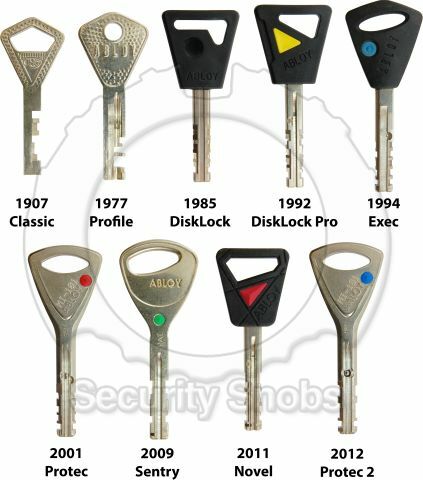 The key profile you choose for the key must match your current lock. This can be found on your keycard under the key code. 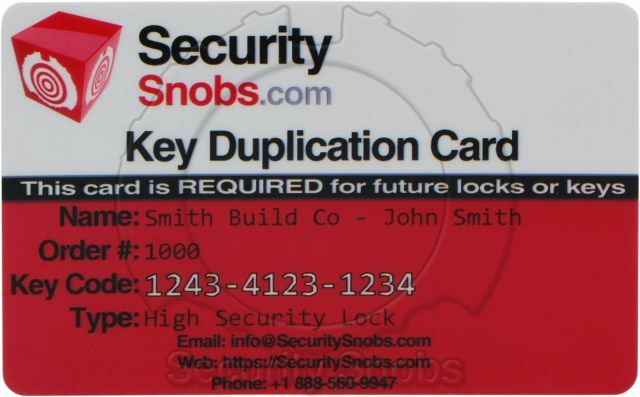 We will contact you to get the information required to authorize a new key (you can expedite the process by filling out the Key Authorization Document and emailing or faxing it to Security Snobs after placing your new key order). You can use this option even if you are ordering 'emergency keys' for one of your deadbolts. If you simply want additional keys for one of the locks in your current order simply choose the extra keys option when adding the item to your cart. The Emergency Key option allows us to specially key double deadbolts and lockable thumbturn deadbolts to make them better suited for residential or primary door environments. An emergency key is a special key that will only open the lock from the inside, and not from the outside. This way an emergency key can be kept near the door and in case of an emergency used to open the door to get out. As the emergency key will only work from the inside, if it is lost you do not need to worry about someone being able to open your lock from the outside. Frequently people keep the emergency key in a near by drawer or hanging on a string for easy access. Abloy Cut Key was successfuly added to your shopping cart. You can browse for more products or proceed to checkout.